The word Lipo means “fat” and the word Suction means “Sucking”. Liposuction is the removal of excess fatty tissues to reshape the body. 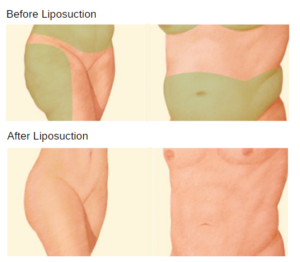 Earlier, Liposuction was a cosmetic surgery more frequently used by women. Nowadays, men are also eager to have a well-sculptured body and hence undergo liposuction. It is done mainly to contour particular areas of the body by removing or reshaping localized fat deposits. It is not a form of weight loss program. In this competitive business world, a common perception among men is that a young and fit person is more efficient in getting the job done. Eating disorders, untimely food habits, and obesity are now becoming very common in men. Hence, men tend to go for liposuction, as an immediate remedy for their obesity problems. For Liposuction, only small incisions are used, which are very easy to conceal. Male liposuction is a cosmetic procedure that helps to model the body by getting rid of unwanted fat from certain areas. Almost all part of the body can be suctioned. The neck, the abdomen and the loin (commonly referred as the love handle area) are the most popular liposuction areas in men. Lately, more and more men are turning to facial liposuction to have an overall youthful and well-structured appearance. Male liposuction is more expensive than liposuction for a female. The primary reason being that the fat found in the male is more fibrous and hence, it is more difficult and time-consuming to remove when compared to that of females. Secondly, men are typically larger than females, so liposuction in men involves a larger area. The third reason is that the areas for which men most commonly request liposuction are body sites like chest or breast, neck, loin area, and abdomen, where the fat tends to be more fibrous. Liposuction prices vary depending on the area of the body to be treated, the amount of correction needed for the specified area and the technology used. How long is the recovery period for liposuction? Male liposuction can easily be performed on an outpatient basis. In most cases, it is done with local anesthesia. Generally, most patients will be able to return to their normal activities within three days post surgery. Usually, the once treated areas will not gain any considerable amount of fat. But it is possible to gain weight in other parts of the body. Side effects and complications of liposuction are usually rare. Recovery time from liposuction vary according to the individual and the extent of the procedure, and in some cases, residual swelling may last for several months. Liposuction is considered as a safe procedure with no mortality and minimal risks of morbidity. Moreover, significant patient satisfaction is achieved when it is performed by experienced and qualified surgeons. Dr. D Bhar has trained across three continents and is a Diplomate of the Royal College Of Surgeons of Glasgow, a Korean Board Certified Cosmetic Surgeon and Board Certified from the American Board Of Aesthetic Medicine. Dr. Bhar brings you an Exclusive and Premier service in Aesthetics and Cosmetic Surgery. He doesn’t just practice Aesthetics and Cosmetic Surgery, he practices the art of perfecting beauty by creating through meticulous skill and delicate dexterity a vision to sculpt and reshape the human form. © Copyright 2018 Harley Street Surgery. All rights reserved.